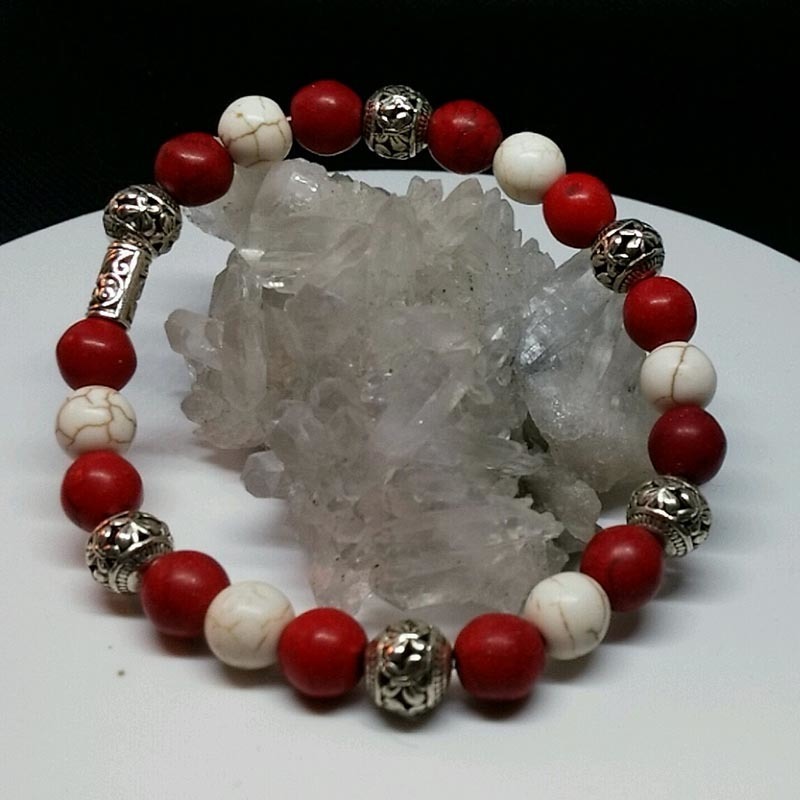 Stretchy bracelet made with 8mm beads of red and white howlite plus tibetan silver beads. The meaning of the name of this mineral relates to the person who first discovered it, a Canadian chemist called Henry How. 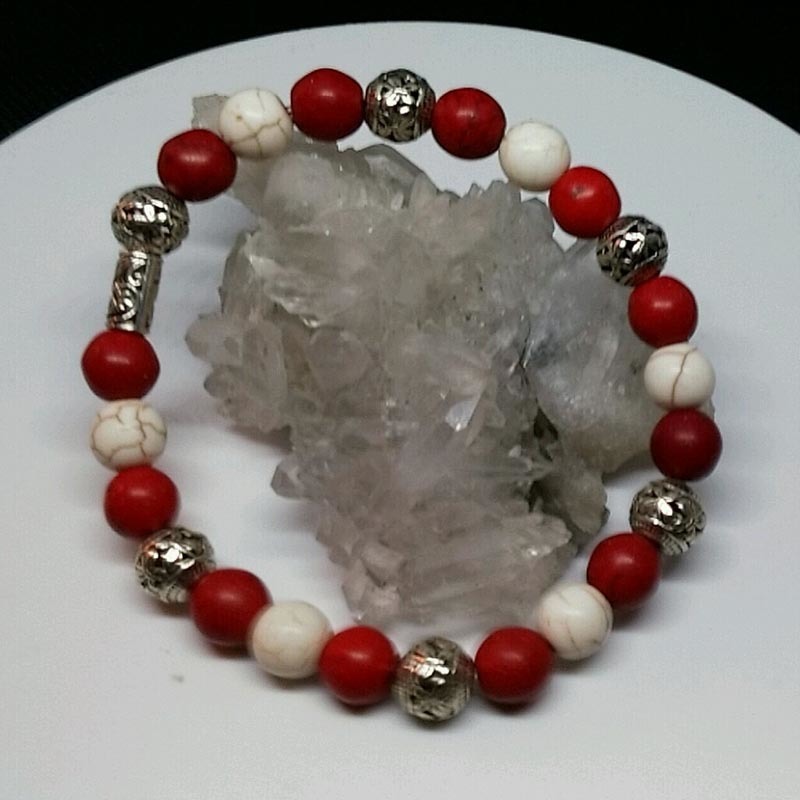 These borate rich stones are often seen selling in various colors, and these crystals are created by dyeing the white stone. You may see it selling as White Turquoise as it often dyed blue to resemble Turquoise so sellers are playing on this aspect, even though it is not related to Turquoise. These stones are extremely helpful to use to calm you if you are stressed or anxious, especially if your stress is related to having to deal with angry people. For those of you who have been having trouble sleeping, you may use them to aid insomnia by placing a piece under your pillow.